Already in the midst of a massive expansion, the Brooklyn Navy Yard is set to get even bigger. 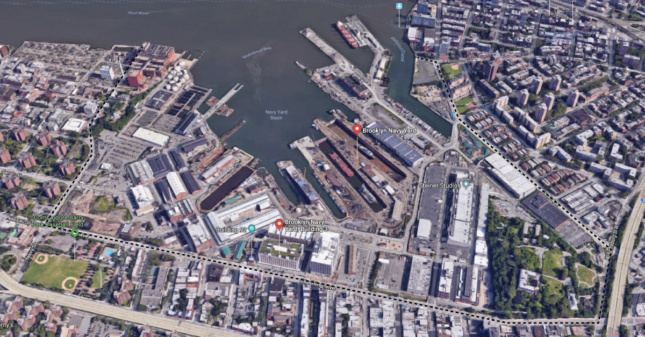 As first reported by Bloomberg, the Brooklyn Navy Yard Development Corporation (BNYDC), a non-profit group that manages and develops the yard, is set to reveal a $2.5 billion expansion plan that would double the manufacturing hub’s square footage. Space in the Navy Yard has been getting tight as of late, with an ongoing $1 billion expansion renovating the rest of the existing buildings on the 4.8-million-square foot campus, and as WeWork’s 16-story waterfront office building, designed by S9 Architecture, nears completion. 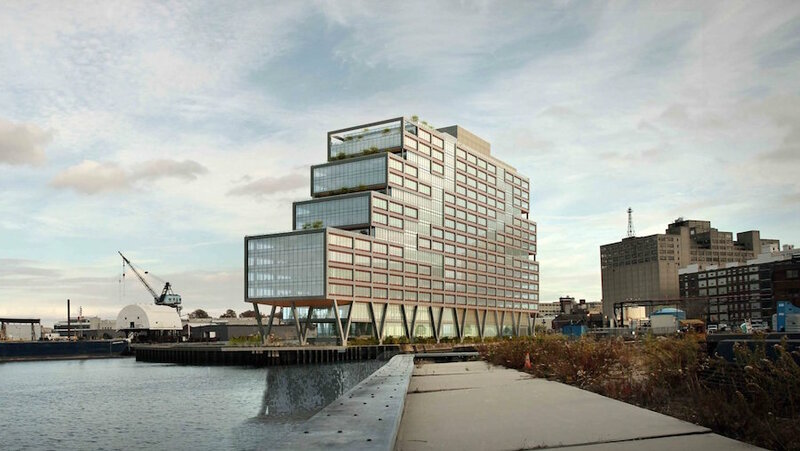 “We’ve reached a point where we have really finished rehabbing all of the existing buildings at the yard, and we’ve been over 99 percent leased for the past decade,” Clare Newman, executive vice president of the BNYDC, told Bloomberg. The new long-term plan will add an additional 5.1 million square feet of vertical floor space to the 4.8-million-square-foot campus, and create more room for manufacturers as well as tech-oriented office space. While the Navy Yard currently employs 7,000 people in a variety of fields, from carpentry to farming, the first stage of the expansion is expected to boost that number to 20,000. The BNYDC predicts those figures will blast up to 30,000 once the long-term build-out is complete. 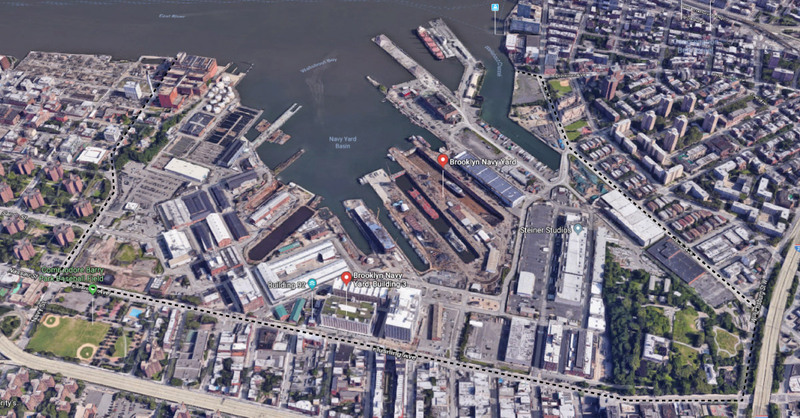 As the BNYDC is an interim group that manages the Navy Yard for New York City, who owns the site, they’ve chosen to fund the $2.5 billion plan through a combination of tenant revenue, government grants, and tax breaks. The Navy Yard’s enlargement is driven in part by the Navy Yard’s success in attracting traditional and high-tech manufacturers, and the campus’s limited size; Newman notes that creative companies and designers often start off strong and outgrow the Navy Yard. 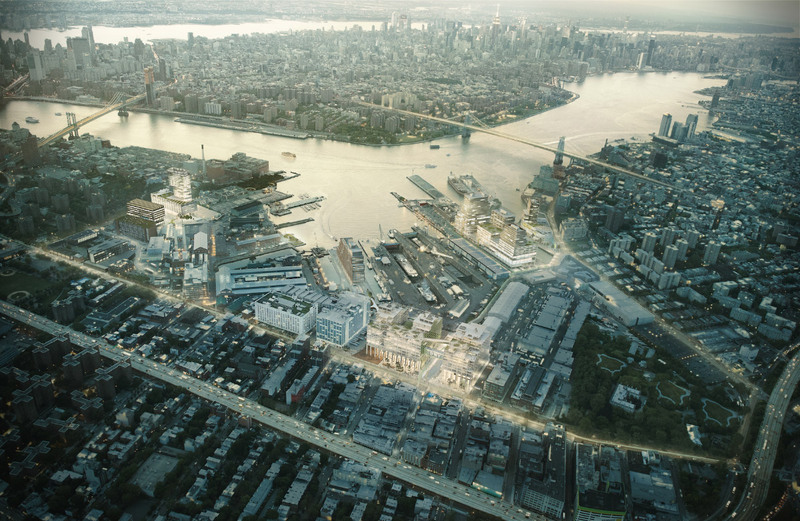 By offering larger facilities, the BNYDC can retain this talent on-site. The newest expansion plan will likely kick off with the construction of a 2.7 million-square-foot complex on top of what’s currently being used as a parking lot for cars and trucks. While no timetable has been set yet, the first building will probably hold 75 percent manufacturing space and 25 percent office space for technology and creatives. The second building will likely contain the same mix of space and be built on what is currently being used as a tow lot for the New York Police Department. The third complex in the long-term plan will be built on what is now the Bureau of Prisons supply depot, the last federal tenant in the Navy Yard.